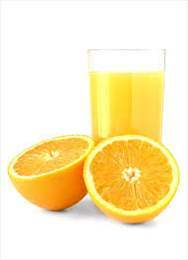 One of the major problems of citrus fruit juice is its limited shelf-life. Spoilage and quick degradation of vitamins are two of the most important causes of quality loss during the shelf-life of this product. Fungal spoilage and quick degradation of vitamins are two of the most important causes of quality loss during the shelf-life of orange juices. Addition of 0.3g/L Chitoly™ concentrations can extend the quality of the orange juice significantly, reducing browning and controlling the spoilage during the storage time and preserving ascorbic acid and carotenoids during storage time. Also, concentrations 0.6g/ L were scored as unacceptable for the sensory panel due to an increase in mushroom flavor. Addition of 0.3-1 g/L Chitoly® can be used to reduce enzymatic and non-enzymatic browning and controlling the spoilage during the storage time.